SWE-Boston invites all members to attend Dr. Marion C. Michaud’s insightful presentation into what it means to be a cyber security engineer. She will share the personal experiences that led her to her current role, from the female STEM perspective. Dr. Michaud is the Technical Director of the Cyber Security Technical Center in the Center for National Security at The MITRE Corporation. 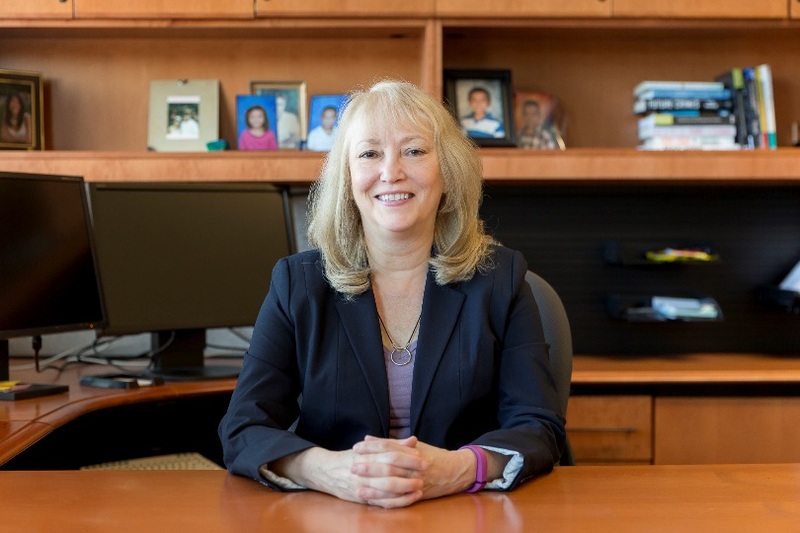 She has overseen teams whose work literally advanced the state of the art ranging from threat intelligence analysis to new security engineering approaches to creating a collection of cyber defense standards now widely adopted by industry. Dr. Michaud’s success as a leader stems from her ability to foster innovation and thought leadership. While able to recognize and grow outstanding technical talent, she also inspires the high levels of engagement and creative problem-solving needed to stay on the cutting edge of cyber security. Dinner will be provided. Vegetarian Option available. NOTE: All visitors to MITRE must show government-issued proof of identification, such as a driver's license, green card or a passport. SPECIAL INFORMATION FOR FOREIGN NATIONALS: If you are not a U.S. citizen or legal resident, please understand that only those who registered by May 18th can be admitted. Unfortunately, MITRE cannot admit foreign nationals who do not RSVP ahead of time. When you arrive, you must show proper identification from your country of origin with your photo on it (i.e. a passport) or a green card for U.S. legal residents. Due to national security restrictions, foreign national visitors are prohibited from bringing any portable electronic device into MITRE facilities such as laptops, cell phones, personal digital assistants, SMS devices, USB drives, cameras or sound recording devices. We respectfully request that you leave those articles in your vehicle or at home. When the MITRE Corporation established its Cyber Security Technical Center in October, 2013, it tapped Dr. Marion Michaud to be the Technical Director. Marion’s experience as executive Director of MITRE’s Cyber Security Division for the prior eight years made her the natural choice to lead this team of over 420 cyber security professionals. The Center helps protect essential systems across the spectrum of federal agencies, including the Air Force, Army, Navy, Combatant Commands, DISA, NRO, DHS, FAA, IRS, VA, and many other agencies. In her previous roles at MITRE, she was responsible for information security engineering, leading efforts that ranged from research and acquisition to operational support. Her work has included security test and evaluation, certification and accreditation, security process improvement, architectures, cross-domain solutions, mission assurance engineering, risk assessments, forensic research, technology transition and deployment, and evaluating impact on policy development. Her technical work has included projects such as parallel computing and simulation and modeling. Prior to joining MITRE, Dr. Michaud assisted the Air Force in developing mission-needs modeling and introduced new technology to support the budgeting process. She served as an Assistant Professor in the Mathematics and Computer Science Departments at Siena College, in Loudonville, New York, where she also served as the Mathematics Department Head. Dr. Michaud received her Ph.D. in Applied Mathematics from Brown University in 1980, her M.S. in Applied Mathematics from Brown University in 1975, and her B.S. in Mathematics and Education from Syracuse University in 1974. The MITRE Corporation is a not-for-profit organization that operates research and development centers sponsored by the federal government. Our centers support our sponsors with scientific research and analysis, development and acquisition, and systems engineering and integration. We also have an independent research program that explores new and expanded uses of technologies to meet our sponsors’ needs. Our principal locations are in Bedford, MA, and McLean, VA. To learn more, visit www.mitre.org. Parking: Please drive in the main entrance on Route 62 (Burlington Road) and turn left toward M-building. Park in the parking structure. "Tickets are non-refundable. However, if a request is made at least 72 hours before the scheduled event, the amount paid can be used as credit towards a future event. Please note that this credit expires within 60 days of the request being approved."